Here it is Ladies and Gentlemen, the ultimate Rental Management plugin show down you’ve been waiting for! 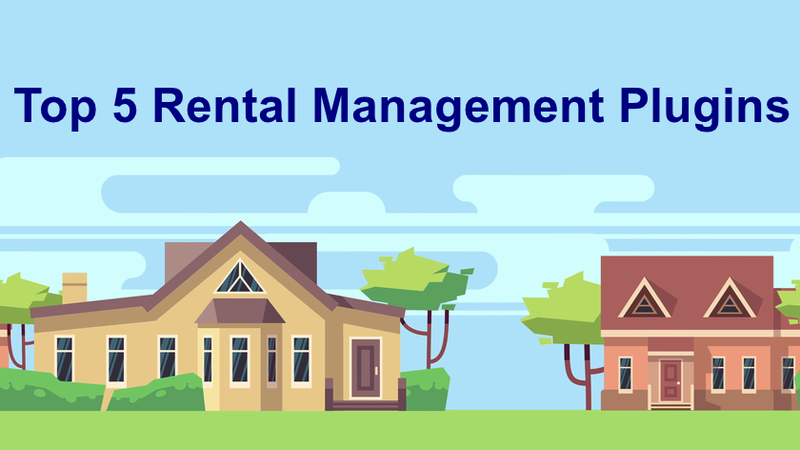 We are going to be looking at 5 Rental Management Plugins you cna find on WordPress and figure out which ones are the best by analyzing their usability and features. This plugin, created by White Iron Data (who are experts in providing app development, PPC, web analytics and a plethora of other services, is a culmination of 20 years of research and development. It is truly designed with keeping the users in mind – having features like Community Features Manager, export to Craigslist, embedded YouTube videos and 360 degree virtual tours. This plugin is so easy to use and is a great deal for the features it offers. 2. Apartment amenities manager for adding any amenity under the sun. 5. Export your listings to Craiglist through our easy Export HTML feature. 13. Availability manager allows property managers to easily update listings when apartments are rented. 14. FAQs section on website and immediate customer service. Pricing: The About Rentals Plugin will support 5 communities and 5 apartments per community in the free version. If you are interested in adding unlimited communities and apartments, purchase the pro version license for $50/month. Overall, this plugin is absolutely amazing! Given all the features, you will not have a hard time trying to figure out how to quickly add or manage listings – the plugin does most of the work for you! BA is a fast and powerful Booking engine with management system for theme/site developers to create any booking or rental sites (tours, hostels, apartments, cars, events etc., or all together). It’s highly customizable with hooks, so you need to have some programming skills to drive it on the top gear in your project. While this plugin is great, it does require some technical skills to implement it. It doesn’t have features that automatically edit listings like the About Rentals plugin does. Smarty Pants Rental Manager is a WordPress plugin that allows a rental agency to add listings to their WordPress powered website. The admin has the ability to add developments and add listings to those developments or freely add listings. Users can view listings and submit an application which is emailed to the desired email address. 4. Manage listings, you can also add a listing to a development. 4. Custom form builder allows you to build the application the way you want! While this plugin has some extensive features, the free version doesn’t really have enough to support and smartly manage listings. The premium version is also quite expensive for the added features that it offers. 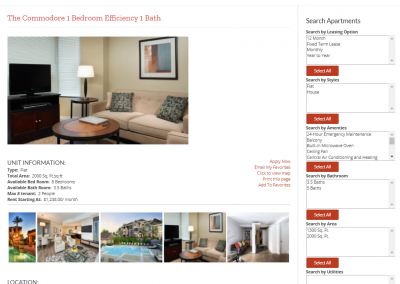 Transform your WordPress website into an incredible apartment marketing tool. Delivering enterprise-level quality and features, all backed by industry veterans with a deep understanding of ​digital marketing best practices and ​ the online rental market. Meet RentPress for Apartments. This plugin offers very few features when compared to the other ones. While it has only a few customization options, it doesn’t have the powerful features that can manage multiple apartment listings at once. 1. Automatic emails when new bookings arrive. 2. Automatic and configurable emails to your guests, owners and staff. 3. Owner logins and owner statement generation. 4. Automatic inventory management – when a property is booked, it is marked as unavailable across all channels and your website. 5. Back office handling for walk-in/phone/email bookings. 6. Nightly, weekly, monthly, per person and seasonal rate support. 7. Maximize occupancy through minimum night, arrival day and departure day rules. 8. Variety of discounts including length of stay discounts and coupon codes. 9. Great looking multi-property and single-property booking calendars can be embedded into your website or blog. 10. iCal importing and exporting. 11. Plugin output can be fully styled using CSS. 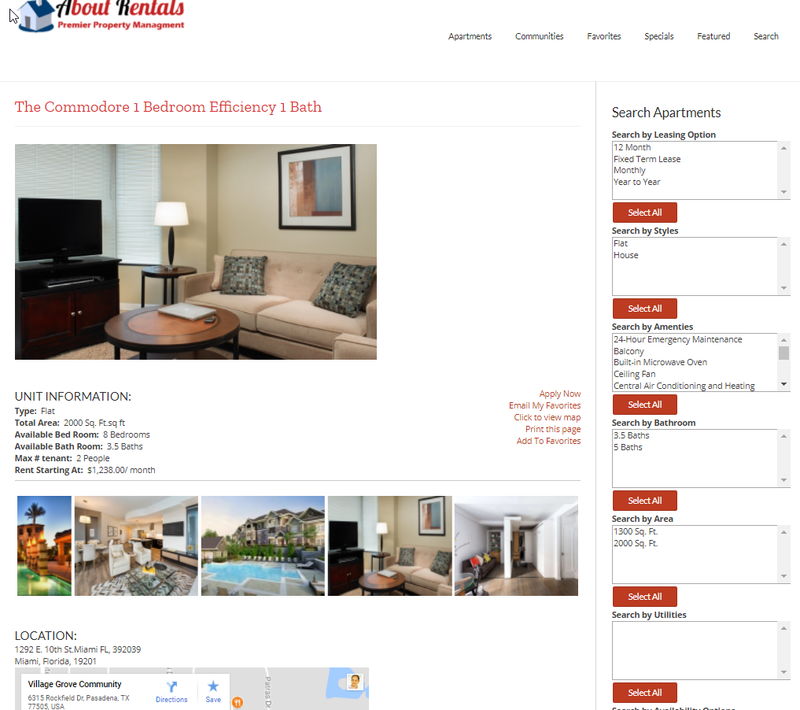 There are many great plugins out there that offer various features to help manage your apartments and rentals. With what we’ve found so far, About Rentals offers the most features with the best value for money! All Information Copyright About Rentals - White Iron Data - 2018 and Beyond.